in your lunch hour than you ever thought possible! It’s 1pm again and while everyone else is rushing to spend their hard-earned money on R30 sandwiches, I’m making money. And you could be doing this too… In less than 30 days. You see, today I’m going to introduce you to the secret to lunch-time profits. On the 7th of December this lunch-hour secret made R3,849.20 in just 5 days. This same secret also made R3,004.60 on the 15th of February in just 4 days. And on the 18th of February it made a further R5,625.60 in just 2 days. You see, this lunch hour secret takes advantage of a market so huge the opportunities for profit are endless. Isn’t it time you got in on the action? Absolutely anyone can start making money using this secret! It’s all about mastering the secret used by professionals, fund managers and large corporations. And with the lunch-hour secret I’m going to tell you about you’ll see anyone can do it. It doesn’t matter whether you’re a student, a retiree, a stay-at-home mom or CEO. You don’t have to stand on the side-lines any longer. My name’s Timon Rossolimos and I’m the Head of Trading here at FSP Invest. I have an advanced Economics Degree and have spent years trading the markets for a living. When I was approached by FSPInvest.co.za to head up their trading and research team I jumped at the opportunity. FSPInvest.co.za allows me to fulfil my desire to help new investors grow and teach others about how to make money in the markets. I’ve spent years mastering the tools used by the ‘insiders’ and now I want to share them with you. So what exactly is this lunch-hour secret? JP Morgan Chase & Co. managed to generate $5 billion in profit during the worst year in Wall Street history by using this secret. Porsche used it to hike their pre-tax earnings, from €2.11 billion to €5.86 billion. Only 38% of their profit came from selling cars that year. The rest was gained by using this secret. In fact over 90% of the world’s top 500 companies use this secret to help manage their risk and create massive streams of profit. For a long time this opportunity was only available to large institutions and a small group of professionals. But not anymore. It’s your turn to cash in big time! You don’t have to have a degree in finance. You don’t have to have friends in high places. You don’t even have to know much about the stock market. In fact, with the resource I’m going to introduce, you can start making money from this opportunity in as little as a week. The only thing you need is a willingness to learn and lots of enthusiasm and you’ll be on your way to grow you bank balance. You could be unlocking an endless stream of money in your lunch hour, no matter who you are. And best of all, you don’t need a lot of money to get started. You can start tapping into this huge market with as little as R500. That’s just 17 lunch hour sandwiches. So how big is this market I’m talking about? The global stock market capitalisation is up to $69 trillion dollars. And of the worlds, $294 trillion in financial assets, $69 trillion dollars is a huge number to wrap your head around, I know. But my point is with a market this gargantuan the probability for profit couldn’t be more prolific. That’s what thousands of South African’s have discovered. And their bank balances have never been the same! So what’s this secret exactly? It’s all about trading using the power of financial leverage. Leverage allows you to multiply your profits ten times or more. This not only multiplies your profits, it also means you don’t have to invest a lot in each trade. This means you don’t have to pay R12,914 to gain exposure to 100 Standard Bank shares at R129 each. You now pay only R1,291 but still benefit from full exposure to 100 shares. And, as you’ve already seen, the potential for quick profits is huge! Not only can you make big gains, you can also protect your current investments. The people at the top have always known this. That’s why even in the depths of the last recession there were still people living the amazing lifestyle we all want to live. After hundreds of requests from our subscribers and months of preparation, FSP Invest is proud to introduce the Ultimate Trading Series. Two guides that show you everything you need to start making massive amounts of money… With four of the best ways to benefit from the money-multiplying power of leverage. 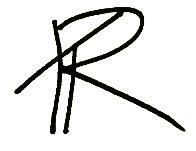 Namely: Contracts for Difference and Forex. Written with you in mind, I assumed nothing. I made sure I covered every single aspect of trading that you’ll need to know to get started as soon as possible. The Ultimate Trading Series Now! Right now you can put down the money for 10 shares but profit from the movement of 100 shares – meaning you can grow your wealth 10 times faster! That’s what banks and big financial institutions have been doing for decades and, as already mentioned earlier, they’ve been raking in billions as a result. Single Stock Futures (SSFs) also give the peace of mind of knowing your trades are in safe hands within the regulated environment of the JSE. 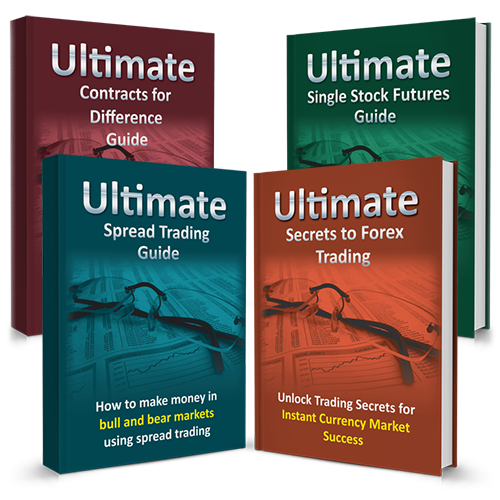 Each guide in the Ultimate Trading Series is filled with examples, definitions, a full glossary and resource kit to make sure you understand all the basics before you get started. I don’t want you to miss a single step. 2. How to “buy” Wall Street for just R45! Right now you can trade and profit from the world’s most influential market with as little as R45. Or you could buy gold to the value of R19,455 for just R466.92! You only need to put down R466.92 and you can get exposure to an ounce of gold and profit from the movement on the full value. I assume no prior knowledge so I take you through the whole process. I’m sure you’re familiar with the idea of leasing a car. Essentially you get to enjoy all the benefits of having and using the car without ever having to deal with the burden of owning it. Now you can do the same thing with shares on the market. Enjoy the benefits of owning shares, including price movements and dividend payments, without ever having to actually own them. And the best part is you don’t have to cough up a fortune to benefit. 4. Are you ready to dive into massive returns? There’s one place where there’s always a bull market. It happens to be the world’s largest most liquid market with over $5.3 trillion traded every day. But you can get involved with just a couple hundred rand. By understanding the basics of this giant of world markets, you can start cashing in today. And you don’t have to spend months waiting for double-digit gains. With the Forex market being one of the most leveraged, you can make double digit gains in a matter of minutes, triple digits in just days and who knows how much over a few months. The real reason most beginners fail – And how to avoid it! When you invest in the Ultimate Trading Series you’ll find everything you need to take full advantage of this huge opportunity. Be your own guru and live the lifestyle you want to live, not just the lifestyle you can afford. All you need to do is act now and you could be using your lunch hour in more profitable ways by this time next week . Anyone, including you can get started today – there are almost no entry restrictions! Use the miracle that is leverage! Makes crazy gains in a matter of weeks, days and even hours! Your 30 day zero-risk guarantee. Here of trading here at FSPInvest.co.za we believe in proving ourselves. I don’t expect you to just take my word for it. That’s why I’m giving you our 30 day money-back guarantee. You shoulder no risk. You have a full 30 days to see for yourself how easy it is to start making explosive gains from trading. Open a free trading account. Put the advice in the Ultimate Trading Series guides into action. Dip your feet in the trading pool for a while. You have a full 30 days to see whether this opportunity is for you. If you’re not satisfied – give it back to us. We’ll give you all your money back, no questions asked. Special subscriber offer: 66.6% off! Each one of the guides in the Ultimate Trading Series retails for R399. But for this special FSPInvest.co.za-Readers-Only offer you’ll get all four books for the price of R199.00 each, but you must take all four. Instead of R1,596, you’ll only pay R795..
My publisher could change the price back to R1,596 any day now. So act now! Every second you waste is a waste of money! In the fast paced world of trading, every second – literally – is worth money. The time you waste being indecisive could be time spent getting closer to your financial goals using the dynamic world of leverage. Don't delay; get started in today's lunch hour! PS. Act now and qualify for the 66.6% discount! Yes! I want to order the Ultimate Trading Series so I can unlock trading secrets for instant market success. A FREE Subscription to the daily Trading Tips e-letter – This leading e-letter will send me daily expert trading and market information. I understand that The Ultimate Trading Series is just R795. I also understand I can view The Ultimate Trading Series Guides for 30 days without risking a cent. If I’m not 100% satisfied for any reason, I can simply cancel in writing.